Can a vegetarian athlete get enough protein? What about antibiotics in meat? Do artificial sweeteners cause cancer? These are just a few of the questions that athletes often ask me in their quest to eat wisely and consume a quality sports diet. They feel so confused by the plethora of conflicting messages. To dispel some of this confusion, respected food and nutrition experts addressed some hot topics at the Academy of Nutrition and Dietetics' (AND) 2015 Convention. (AND is the nation's largest group of registered dietitians and nutrition professionals). Here are some highlights that might be of interest to you. Sugar and artificial sweeteners: Aye or Nay? It's no secret we have an innate preference for sweet foods, starting with all-natural breast milk. Kids, more than adults, enjoy sweetness. However, as we age, taste buds lose their ability to perceive sweetness. Perhaps you have noticed your parents adding extra sugar to their coffee to achieve a desired level of sweetness? These extra sugar-calories can become problematic for unfit folks who might have (pre-) diabetes. Sugar sends a positive message to our brain and excites our reward system. (That helps explain why ceasing to eat sugar can feel like withdrawal). Artificial sweeteners (such as Equal, Sweet ‘n Low, NutraSweet, etc.) do not create a big "reward" for the brain; hence they feel less "addictive." All living species - apart from cats - are attracted to sweets. (Yes, my dog loves blueberries!) Hungry athletes, in particular, tend to enjoy sweet stuff, too. While little is wrong with the occasional dessert, some athletes enjoy way too many sugar-laden foods, including those sweetened with high fructose corn syrup (HFCS). The question arises: Is HFCS health-erosive and to be avoided? To date, research indicates that at normal intakes (research is often done with abnormally high intakes), HFCS should not be of concern. It is not inherently fattening, nor inflammatory. Any inflammation associated with HFCS can be traced to obesity. Obesity triggers the inflammation found in heart disease, hypertension, and diabetes. 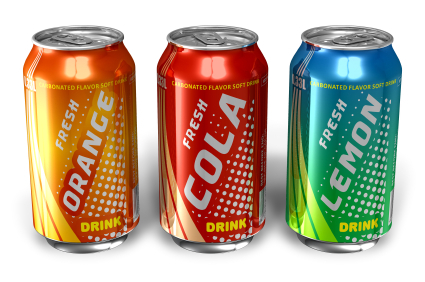 If you are a lover of soft drinks, sweet tea and other HFCS beverages, you might be left wondering if you should quit drinking the sugary stuff and opt for diet beverages instead? Controversy surrounds the topic of artificial sweeteners: Do they increase sweet cravings? Contribute to fat gain? Cause cancer? According to Dr. Jim Hill of the University of Colorado and a principal researcher for the National Weight Control Registry (a study of more than 10,000 people who have lost more than 30 pounds and have kept it off for more than a year), the dieters who drank sugar-free soda reported it helped them manage their weight. Diet soda does not lead to weight gain in humans. Rather, the studies indicate diet soda is associated with either weight loss or weight maintenance (i.e., lack of weight gain). To date, no scientific findings recommend against diet soda. (Science changes, as we know.) Hence, if desired, artificial sweeteners can be one tool in a dieter's weight-management toolbox and part of a healthy eating plan that preaches balance and moderation with all foods. In the 1940's, farmers started using antibiotics in cattle to promote quicker growth. That helped the farmers make more money, and no one thought anything about it. The farmers bought over-the-counter antibiotics and used them as desired. Today, we are acutely aware this has contributed to excessive use of antibiotics. Today, the government is starting to strictly regulate the use of antibiotics in farm animals, with full enforcement by 2017. Only veterinarians will be able to prescribe antibiotics, and they must be used only to take care of sick animals, and not used to foster growth. This approach has been used in the Netherlands to successfully reduce antibiotic use, but that has not reduced antibiotic resistance. According to Dr. Mike Apley DVM and professor of clinical pharmacology at Kansas State University's College of Veterinary Medicine, very little, if any, antibiotics end up in meat itself due to withdrawal periods. Milk is also antibiotic-free. Every truckload of milk is tested for certain antibiotics, and if they are detected, the farmer has to pay for the entire ruined batch. Hence, dairy farmers discard milk from sick cows that had been given antibiotics. One way to alleviate concern about resistant bacteria is to cook food well, and carefully clean the meat preparation area. You can also consume more plant-based proteins, which over time, can reduce the need for more cattle. And yes, even athletes can get plenty of protein from plant-based meals. You can balance in some sugary foods, as long as 85-90% of your calories are from nutrient-rich wholesome foods. While artificial sweeteners can save a few calories, the better bet, is to abate cravings for sweets by enjoying satiating, high quality meals earlier in the day that prevent afternoon and evening cravings for sweets. Breakfast bagel with peanut butter and a lunchtime bean burrito, anyone? Sports nutritionist Nancy Clark MS RD CSSD is a longtime MomsTEAM expert and contributor with a private practice in the Boston-area (Newton; 617-795-1875), where she helps both fitness exercisers and competitive athletes create winning food plans. Her best-selling Sports Nutrition Guidebook, and food guides for marathoners, cyclists and soccer players, as well as teaching materials, are available at www.nancyclarkrd.com. For online and live workshops, visit NutritionSportsExerciseCEUs.com.